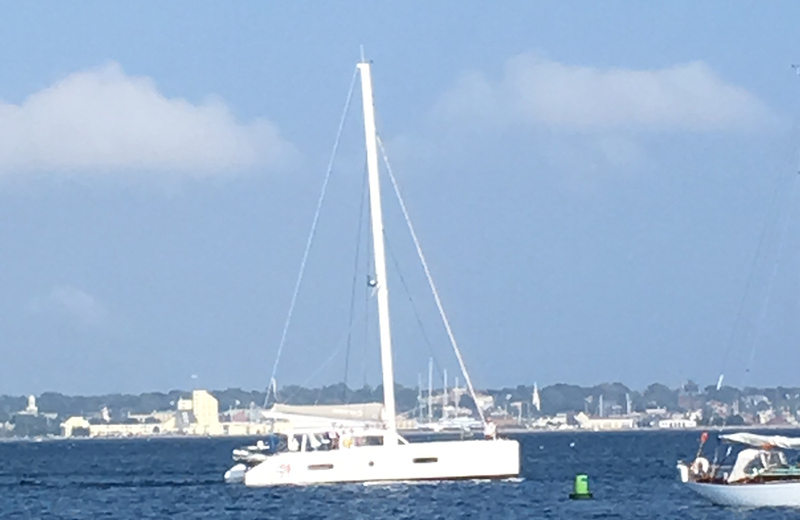 Outremer 51 catamaran owners of WANDERER were recently spotted in Jamestown, Rhode Island. This is the second Outremer in Rhode Island spotted this week. Outremer specialist and Just Catamarans yacht broker Robert Taylor was able to capture a shot of WANDERER in Jamestown, RI. WANDERER was in Fort Lauderdale earlier this year at the Just Catamarans marina for upgrades and repairs. Multihull of the year by Voile Magazine, we are proud to announce that the new Outremer 51 has been elected Multihull of the year. Designed to be sailed shorthanded, the Outremer 51 has been optimized for easy sailing and owner maintenance, making life a breeze aboard the boat. Contact Just Catamarans to inquire on build-out dates and build your Outremer 51 Catamaran.